The National Veterinary Institute (NVI) in collaboration with the Joint FAO/IAEA Division of Nuclear Techniques in Food and Agriculture will organize a training course on “Transboundary Animal Diseases Diagnosis: Early Detection and Characterization” from 23 October to 03 November 2017. The training will be conducted in the training and laboratory facilities of the National Veterinary Institute. 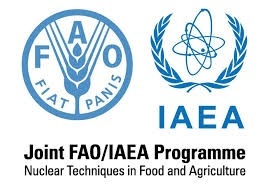 Senior scientist in the field of the training agenda will come from FAO/IAEA-Austria, Istituto Zooprofilattico Sperimentale delle Venezie-Italy, Centre for Emerging and Zoonotic Diseases-South Africa, AU/PANVAC-Ethiopia and NVI-Ethiopia to provide theoretical and practical training. The purpose of this training is to promote the application of accurate and differential diagnosis of major transboundary and zoonotic animal diseases in Member State veterinary laboratories. This training will reinforce the participants’ knowledge to detect, conduct surveillance, and perform epidemiological studies on some of the major viral and bacterial pathogens affecting poultry and ruminants. Improved interactions between scientists of Sub-Saharan African veterinary laboratories.